The MLS is the United States of America’s professional football league and every season some players play big roles in the success of their various teams. These are the top three most prolific players in the MLS. Since his surprising move from Italian seria A side, Juventus to Toronto, the Major League Soccer has not been able to cope with the talented playmaker. The Italian bagged 22 goals and 13 assists in his first season in the league and followed it up the next year with an outstanding all round performance that also saw him bag 17 goals and fifteen assists. His tally helped Toronto to the MLS cup where they eventually lost to Seattle Sounders. 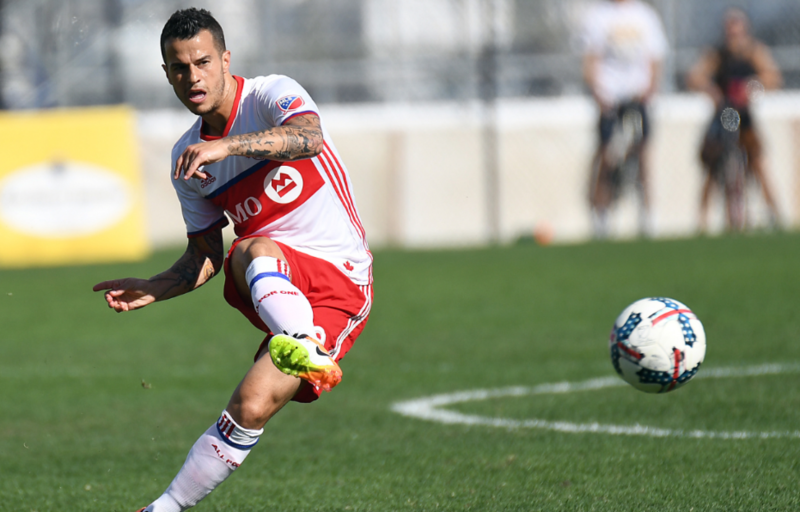 Aged 30, Giovinco is arguably the best player in the MLS for now and Toronto will be hoping that the Italian bring his best game into the new season as the look to qualify for the second straight MLS Cup appearance. The Seattle Sounders knew very well that they were making one of the most vital acquisitions in their club and most recent MLS history when they brought in Uruguayan star boy, Nicolas Lodeiro in the middle of the 2015/16 season. The impact of the playmaker was immediate as he was directly involved in thirteen goals (eight goals and twelve assists) in just 19 games for the sounders. 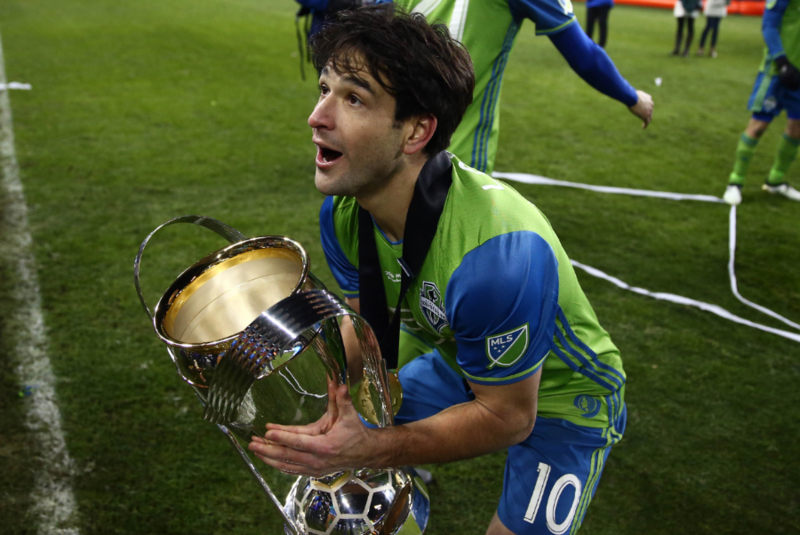 Lodeiro’s contributions helped Seattle Sounders to a first ever MLS league title. Seattle sounders are one of the favorites to win the league this year and will be hoping that the Uruguayan wonder kid replicates his form during the 2015/16 season, especially with a healthy Clint Dempsey. At twenty-seven, the player is only in his prime and still surely has a lot to offer. At 35, the Spanish striker is still one of the most devastating forwards in football history, and after breaking down defenses at both Barcelona and Sevilla, the front man continued his goal scoring form at the MLS. Flying the flags of New York City FC, villa has scored over forty goals including the twenty three goals he bagged last season. The stakes are high for the New Yorkers as so much is expected of them this season especially with Arsenal legend, Patrick Viera as manager. Every sporting league has had many players and lots of talents. Among these players, there have been some exceptional players who have made history by setting and breaking records. In the MLS, the whole of the United states have seen footballers who were impossible to ignore. They were amazing on the pitch and the records could not exist without them. There have been lots of them, but the three on this list have been the exceptional ones, amidst the exceptional. However, the records can change anytime because anyone can rise in the game of football. Anything can happen. I Early animals have been known for their weighty tendencies. Fishes are not left out, the Dunkleosteus species fish was said to have lived some 280 million years before. They measured some 33 feet in length and on scale touched 3.5 tons. II Extinction has been happening a long while. This is justified by the sabertooth tiger that has the weight of 1,102 pounds and finger and toes fangs of length 12 inches. It is heavier than a full grand piano. III Dinosaurs have not been far gone. There is the thought that the extinction of dinosaurs has been a long while ago. In actual facts, they were able to survive the previous five extinction. They are not so long gone as we think. IV Dinosaurs had massive weights and could measure as high as 110 tons. This weight is the same as a massive orca whale. In history, the quickest racer dinosaur that lived is the ostrich- like animal. It had muscular legs and had the pace of close to 40 miles per hour. V The Nazis among their other philosophies they held were rumored to have had plans by their party leaders to bring back to life some animals that have gone into extinction. It however did not come to fruition. VI The tiny, bloodsucker called pubic lice are the specie of lice that houses itself in human beings do not have long existence anymore. They are endangered because of the ever-increasing population of the introduced Brazillian bikini wax.